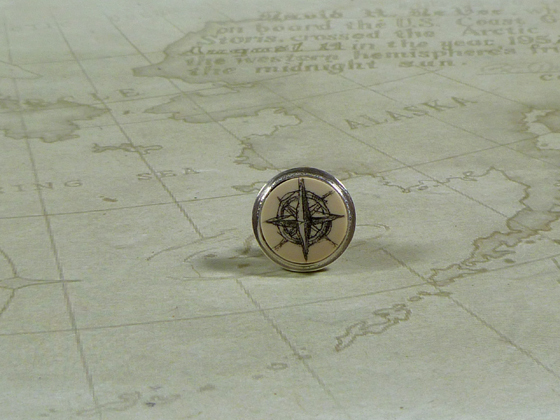 Sterling silver compass tie tack, for the person who always wants to know the direction of things. Compass is scrimshaw on mammoth ivory. My woolly mammoth ivory is between 10,000 and 40,000 thousand years old and comes from Siberia, Russia found in the tundra.